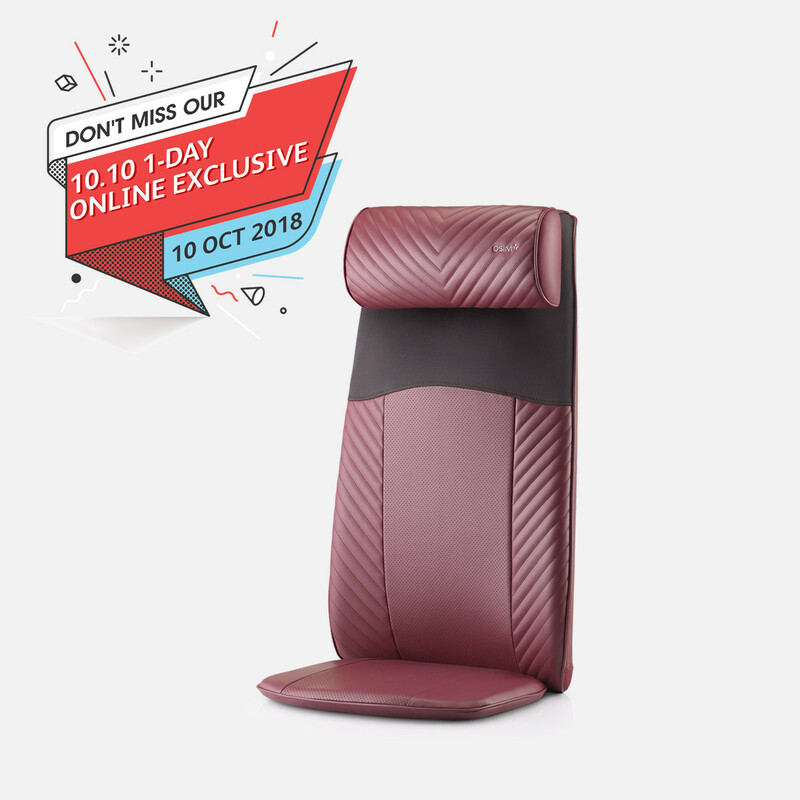 Power-packed with warmth, ergonomically designed 3D massage nodes and a suite of lifestyle massage programs, the OSIM uJolly back massager delivers a protruding and intense massage for deep tissue relief, loosening stiff and aching muscles in your neck, shoulders and back. 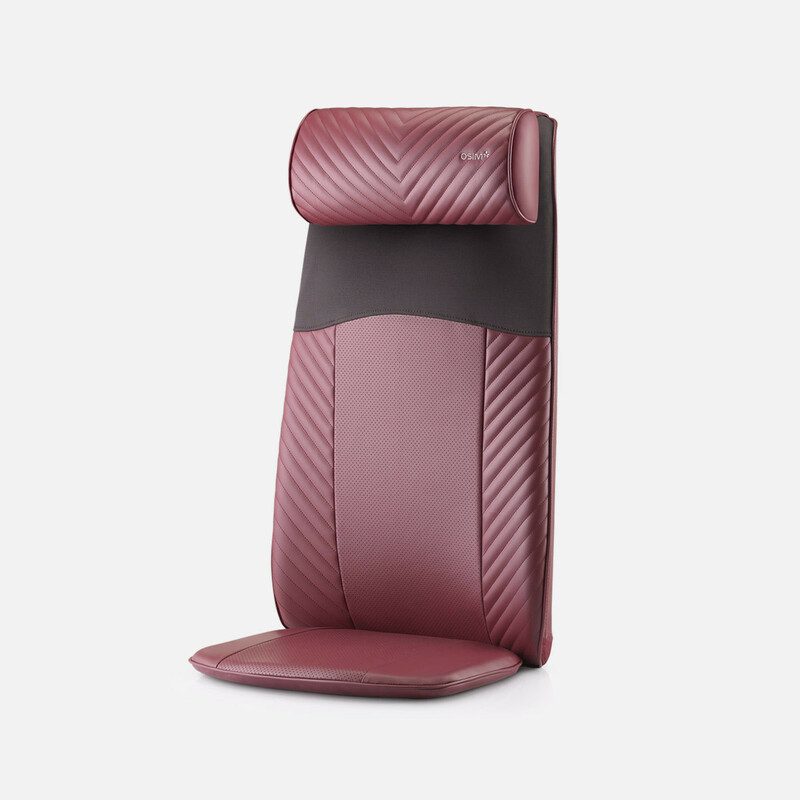 The all-new V-Grip brilliantly works along the contours of your body to provide a precise and human-like massage on your shoulders and lumbar area. 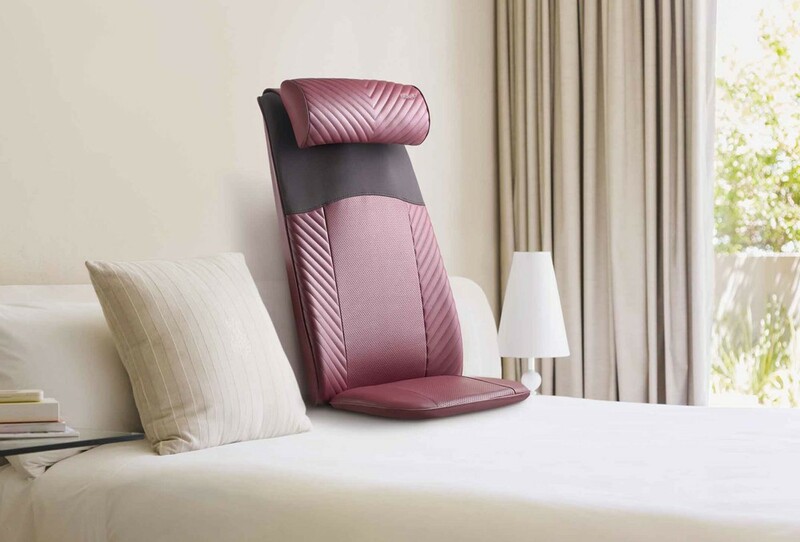 One innovative massage technology, two massage techniques, endless satisfying massage pleasures. - Specially engineered hand-grip massage to loosen stiff neck and muscle knots. - Follow shoulder contour closely to target pain points. - Ease tension and strain. - Deep and point-focused massage, targeting lower back stiffness. - Press and glide along the lumbar to relieve pressure on your back. - Ease sore back from prolonged sitting. The soothing warm air in uJolly envelops your entire back and prepares your body by loosening stiff muscles and joints, so that you can benefit from the full curative effects of the massage. It also warms your body for maximum comfort as you enter a deeper state of relaxation. The soothing warm air in uJolly envelops your entire back and prepares your body by loosening stiff muscles and joints, so that you can benefit from the full curative effects of the massage. It also warms your body for maximum comfort as you enter a deeper state of relaxation. A specialized program designed for targeted relief of the widely-experienced neck and shoulders aches. Focusing on the lower back, this popular program is ideal for relieving a tired and stressed back. A combination of gentle kneading, rolling and tapping massage to ease tension and relax tight muscles, perfect after a long day of work. Invigorating massage to stimulate and rejuvenate the body and mind. It is a good and well designed massager. It is well designed and easy to carry as well as it is very comfortable. It also help ease my pain on my back.